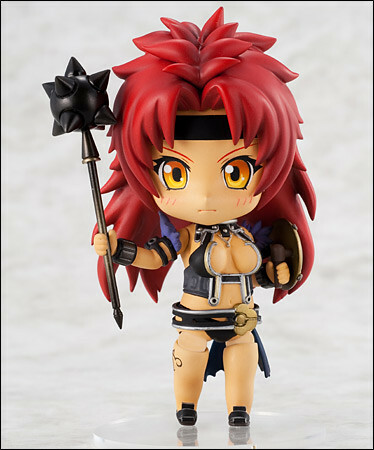 The alternate version of Nendoroid Melona from Queen’s Blade, also known as Nendoroid Melona: 2P Color version has finally got her own page in GSC’s product page. Nendoroid Melona is back, this time in her 2nd player colors! From the anime series ‘Queen’s Blade’ comes another Nendoroid of the shapeshifter and close aide to the Swamp Witch, Melona! This time she is in her 2nd player color scheme for a completey different feel, and also comes with an all new ‘damaged’ body part and expression for even more fun ways to display her! Well, similar to the previous alternate versions of Nendoroids from Queen’s Blade, this one is also a Hobby Japan exclusive and only available via lottery. She will be released this month for the usual price of 3500 Yen. Hobby Channel has released some more pics and info of the upcoming FREEing‘s Nendoroid Alleyne: 2P version from Queen’s Blade. 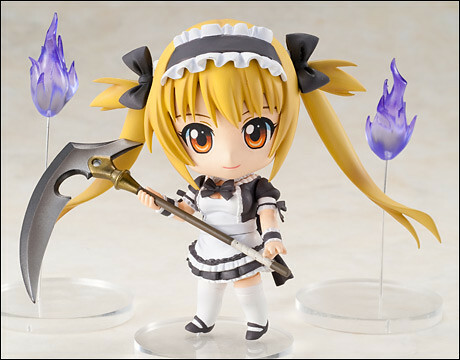 First, the pre-order for this limited-exclusive Nendoroid starts on June 25 until July 24, with the scheduled release date of September 2011 and priced at 3500 Yen. The pre-order application form is available here. Next is Phat Company‘s Nendoroid Kuronuma Sawako from Kimi ni Todoke which is available for pre-order starting today. Meanwhile, FREEing also showcased the limited and exclusive Nendoroid Nyx: 2P version. IMHO, this is the one of the best 2P version of Queen Blade‘s Nendoroid – gorgeous blue-ish color theme suits Nyx really well. Anyway, she will be available for pre-order on June 24 (http://hobby-channel.net/nendo_nyx_2p) and scheduled for August release. 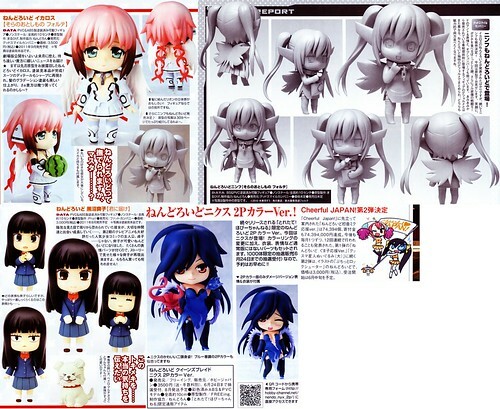 Last but not least, there is also an announcement about the next figure in the Cheerful Japan charity project, which turned out to be a set of Nendoroid Petit from Black Rock Shooter in cheerleader outfit. Looking at the pic, I guess the Petits would have a similar art style as Puchitto Rock Shooter, a NicoNicoDouga web-based BRS game. Pre-order will start on June with a price tag of 3000 Yen. A quick information for fans of Nendoroid from Queen’s Blade series: Nendoroid Listy: 2P version is available for lottery application submission. Yes, the application submission has been opened from February 25 until March 24. 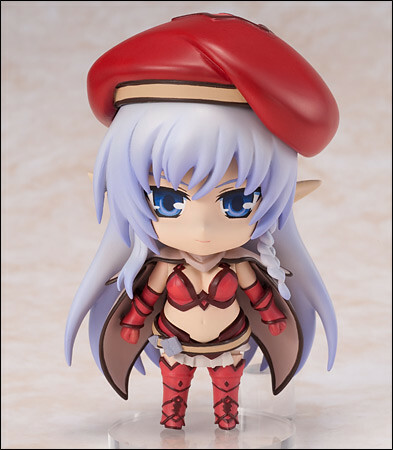 Similar to the previous 2P versions of Queen’s Blade Nendoroid, there would be only 1000 lucky winners (via lottery) who could order Nendoroid Listy: 2P version.